← Do People Overuse the Word “Friend”? Super Smash Bros. Melee was the first video game to bring any kind of Fire Emblem content to non-Japanese audiences and I’m glad it did, because it’s become one of my favourite franchises. 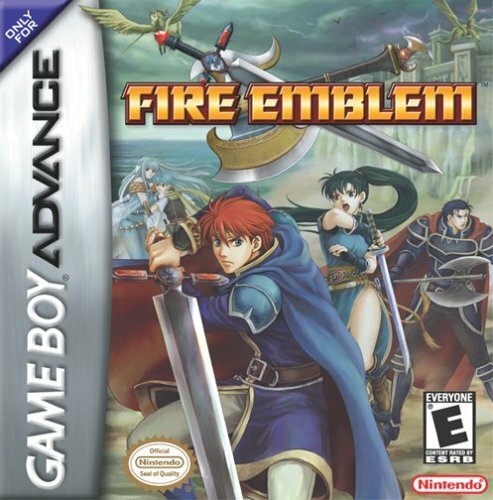 But as important as that was, it was the Game Boy Advance game Fire Emblem which was the first actual instalment in the series to make the journey overseas. In terms of the story, I found it a bit generic by Fire Emblem standards: a small ragtag group of fighters come together to try and take on a evil political power. Along the way they’re joined by lots of different people and there end up being interesting ties to the ancient history of the world. While the overall plot was not that exciting, I remained invested in it due to the fact that I found the characters very likeable. I’ll admit, Eliwood felt a bit flat, but Lyn and Hector were both very endearing and I enjoyed watching them interact with each other and the people they encountered (even though it’s all text boxes.) I cared about them all and wanted them to be okay – and knowing Fire Emblem, that wasn’t a guarantee! In terms of gameplay, I cant fault it: it’s classic Fire Emblem. You take it in turns with CPU enemies to move your characters around a grid based map, engaging them in battles with a nice level of nuance provided by the variety of available weapons – you have to manage your weapons and money well though, because the weapons all break eventually. The biggest thing, of course, is that if any of your characters die, they won’t come back and you’re left with that guilt forever. It’s an example of Fire Emblem by the book in that it doesn’t do anything particularly unusual or innovative with the formula, so longtime fans playing for this one for the first time may be disappointed. But I happen to think that Fire Emblem by the books is still pretty darn good, so I had a good time with this game (though it did get a little too hard in the last level!) You have to keep in mind that it was most certainly created with the intention of being a jumping in point for new players and I think it definitely succeeds at that – we owe Fire Emblem‘s continued presence and success in our country to this starting point and I am very grateful for it for that fact.